This 15 year old sheng pu erh tea is hand-picked from tea trees growing in the wild of Yunnan province in China. If you are looking for a pu erh with a slightly wild flavour, this one is smooth, with a touch of roughness around the edges suggesting its ancestry. 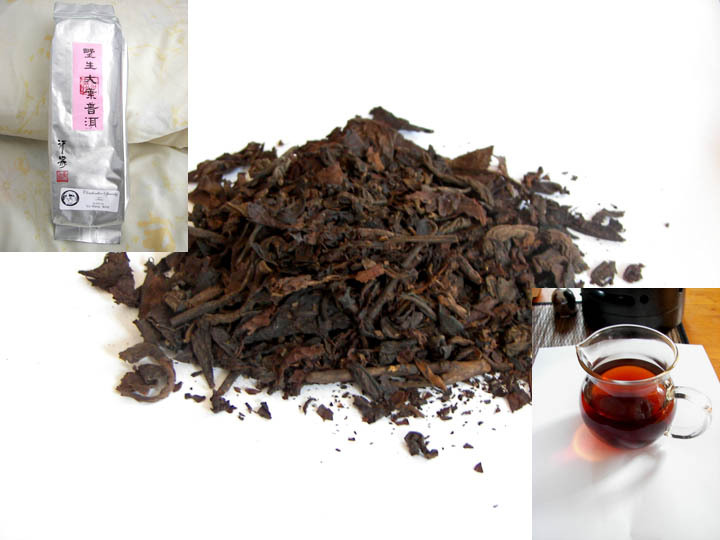 Much of the competition suggests the best pu erh tea comes from wild tea trees. What they don’t do is say that their pu erh teas are actually wild! This is the genuine article. 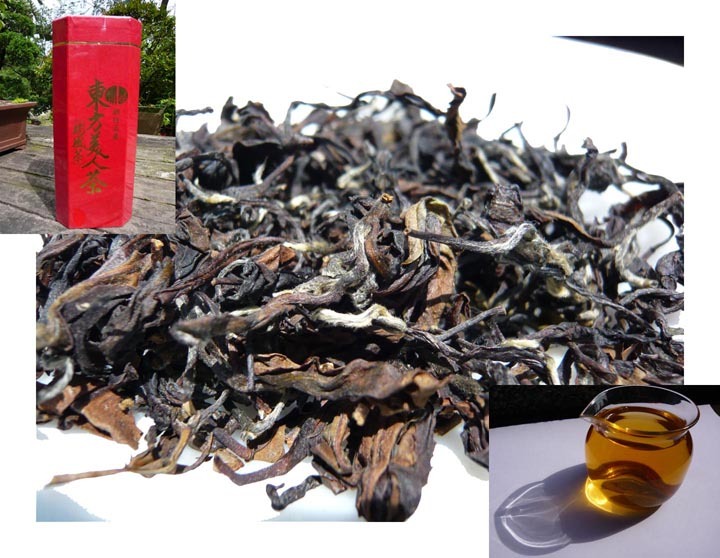 A pu erh tea cultivated from wild tea trees in Yunnan province and aged in Taiwan. It surprises me how much I’m enjoying this Pu-Erh. The flavor is remarkably smooth, but as the above product description suggests, it is a little rough around the edges. It has a very autumnal feel to it, it is rugged and somewhat masculine, but with a sweet undertone that lingers into the finish. The aroma of this tea is quite earthy and I found it somewhat disconcerting before I took a sip. What I noticed is that if I inhale deeply before taking a sip, a strong, earthy essence arrives onto the palate. 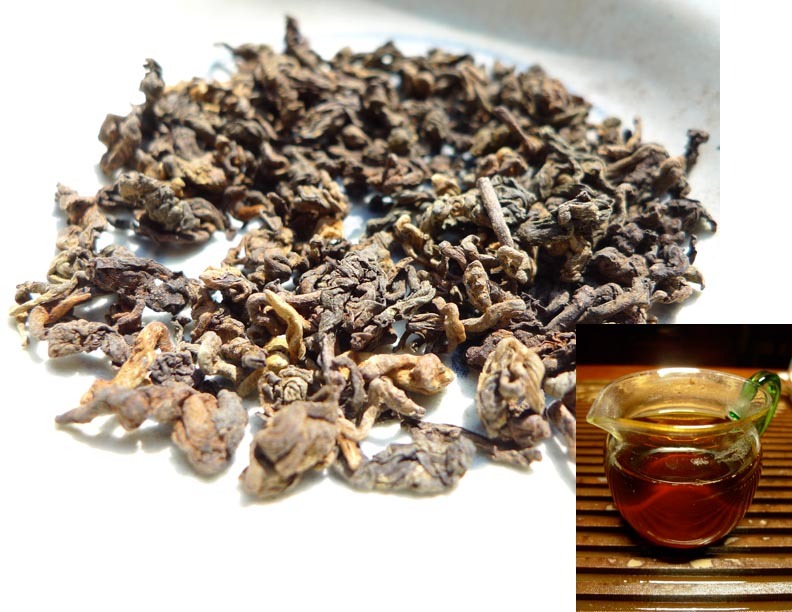 Since it is the earthy quality that I like least about Pu-Erh (I don’t actually dislike earthy flavors when they are delicate, but when they are quite strong, I find them somewhat off-putting), I do not inhale deeply for taking a sip of this tea. The earthy quality then becomes a mere trace of what it is when I do inhale deeply. There is no bitterness to this Pu-Erh and I’m finding it exceptionally sweet that reminds me of burnt sugar caramel, and it lends itself well to the rustic appeal of this tea. I can really feel myself “warming up” to Pu-Erh – in more than one sense! As this year comes to a close and the dawn of a new decade approaches, I am happy that I have finally shed much of my fear about Pu-Erh! This truly is a beautiful tea… The ‘Elixir of Immortality’ or Bu Lao Dan is very special. This tea is produced on Wu Yi Mountain according to the traditional formula of an ancient Taoist sect. These Taoist renunciates believed that this tea would help to prolong their lives and aid in their practice of austerities. The processing of this tea is overseen by a Taoist master and takes between two to three years to complete. Basically it involves exposing the leaves to the sun and moonshine in certain places, for set periods of time, and then storing the leaves in large earthenware containers. This process of exposing and “resting” the leaves is repeated many times over the period of years, and the results are nothing short of remarkable. Those who have been to Wu Yi know that this is a very special place – the long time stronghold of Taoist and Buddhist sects. The experience of drinking this tea is something akin to drinking in the wisdom of this sacred Mountain. Much like the the nine peaks of Wu Yi, this tea is strong, enduring, and suffused with a subtle yet forceful power (subtle for some – not so subtle for others). Wow! This tea brews up exceptionally dark. Surprisingly dark for an Oolong tea – heck, it is even dark for a black tea! It looks more like a Shu Pu-erh, rather than an Oolong. In addition, the aroma of the brewed liquor has an earthy quality to it that reminds me of Pu-erh. This is truly one of the most rewarding teas I’ve encountered in a long time. I love the complexity. It is so very different from any single tea that I’ve ever tried, and yet at the same time, it is very much like many different teas that I’ve tried! Cloudwalker Teas is pleased to be able to offer this selection of cliff teas by one of the most well known and regarded tea masters of Asia. Unfortunately we can’t tell you who he is. The master in question is a private man and says that he does not want to attract any more attention to himself, but simply hopes that more people outside his circle of students may be able to experience what constitutes a truly fine rock tea. A labour of love for this tea master, each year he personally travels to Wu Yi Mountain national park in China to oversee the harvesting, processing and packaging of these legendary teas. He works closely with a group of local producers at Wu Yi mountain, who hand roast the leaves. Hand roasted cliff teas are very rare, and Cloudwalker is very pleased to be the first western tea company to be able to offer teas of such high quality. This introductory selection of his rock teas is offered on a trial basis and under certain conditions, one being that they only be sold in small quantities to ensure that these rare and exquisite teas may be shared by as many people as possible. In drinking them one comes to realize very quickly why this love affair exists between this master and these teas, a love that all who taste them will certainly share. This tea is a MUST TRY for all tea enthusiasts!